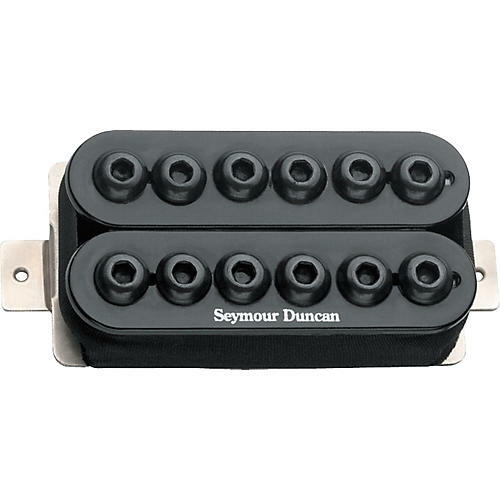 The Seymour Duncan SH-8 Invader Pickup employs a combination of 3 large ceramic magnets, hot coils, and 12 black oxide cap screws to give this awesome pickup bolts of volts for an electrifying force of energy. The wide magnetic field pumps power into your amp with unique brightness and a totally new sound. Black. 4-conductor cable.